I AM WRITING FROM ACCRA, GHANA, AND I CAN SCARCELY BELIEVE THAT I AM FINALLY HERE. I am writing with bloodshot eyes, with several days’ stubble and pronounced bags under my eyes, but I want to tell you my story. So off I go. I leave from Liberia by aeroplane and land at Kotoka airport a few hours later. I have barely set foot on Ghanaian soil when I already note a civilised air and soon think that I have added another nation to my list, moving me closer to surpassing the thirty something countries visited by Andersen… Stuff will happen. I collect my suitcase and begin to pull it whilst I make my way through the airport. When I finally find the exit, I gaze at several guides and hotel drivers hoisting aloft placards. “Carlos?” one asks me and points out a door where a guy with mop-like hair holds up a clumsily made sign with my name misspelt. His first words are “Man, where the hell were you? I have been looking for you all over the airport”. I start to laugh to myself. I squeeze out a smile. He is still mumbling sulkily “I was walking round here, man, listen, I was coming in, you know, I was looking for you”, bla, bla, bla. Then we go outside, and a calm, warm air heralds a dynamic ambience. Lots of white people enter and exit the airport. “We are going to have to wait, because there are not many taxis available”, my companion informs me. This is still Africa, of course. We walk a little. The bloke starts to speak to people in Twi, the language spoken by everyone in practically the entire country, although you can also hear a lot of Ga, and Ewe is the most prevalent language in the southeast. Despite its natural expansion, English is not a language that your average Ghanaian feels at ease with, and that’s something that strikes me. “So you work in Liberia, mmm?,” my buddy asks me suddenly. “There, people like to fight, to shoot”. He raises his arms up towards the sky as if he were brandishing a machine gun. “In Ghana we don’t fight”, he says. “Here you prefer dancing”, I tell him. And we laugh, and the guy shows off a little dance full of rhythm. What else can you expect? He then proceeds to ask me for some ready cash, since, according to him, there are a lot of overheads to cover. “And it begins”, I think to myself. I inform him that I will give him three cedis, and he roars laughing, almost contemptuously. I try to place them in the palm of his hand, but he rejects them. Later, I will end up giving him five. I soon realise that here, in Ghana, the white man is not respected as much as in Liberia. Ghanaians do not have that submission, that complex. Ghanaians became independent from the clutches of the British some decades ago. 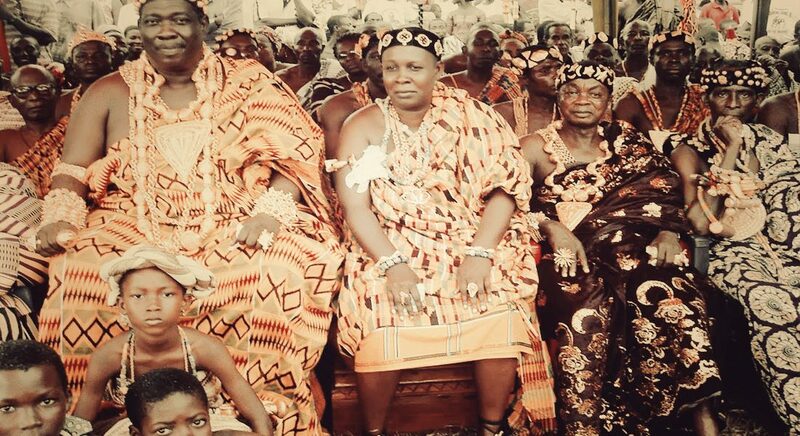 Many of them come from the proud people Ashanti, who, from their iconic city, Kumasi, fought side by side against the British until they achieved their subsequent independence thanks to the revered idol of the nation, Kwame Nkrumah. Soon afterwards, the era of the beefy revolutionary Rawlings would arrive, and, with it, an alternation in the power between his party, the NDC and the NPP liberals. A taxi driver with a serious and decided look upon his face shows up at last. He shakes my hand with certain arrogance, and enters the taxi as a robotic and mechanical being. From within the car I can see Accra, a city with a precise, contemporary architecture sprinkled with British and Dutch modernist elements, if you like, contrasting harmoniously with some buildings of oriental influence? We shake hands with a snap of the fingers, and the interaction is completed. Upon my arrival at the Afia African Village hotel, an attractive receptionist welcomes me and gives me the key to my room. She has class. The people in Ghana have got class. They dress well, they have manners, there is cleanliness, and there is tenderness. The hotel is pretty good, near the sea. The waves crash. “Today is Saturday, you must have fun”, the taxi driver had told me. But where to go? I ask around, and some people tell me of a controversial bar called Jokers. “Jokers is a sordid and ghastly place”, someone whispers to me. As ‘ghastly and sordid’ seems sufficiently attractive to me, I decide to get into a taxi and head towards this bar. Jokers, I am on my way. Would love to talk about the way Ghanaians and Liberians view the white man. Interesting!